Hey dolls! Tonight I have photos for you of the Mentality Candy Jelly Holos collection. This collection consists of seven jellies that are filled with holographic particles. The formula was the same on each polish; it applied easily, built up nicely, and was opaque in three coats. Mentality Taffy is described as a soft yellow jelly holographic nail polish. This one has some slight green undertones, so it’s not my favorite but I’m sure it would look better on lighter complexions. Mentality Marmalade is described as a orange jelly holographic nail polish. My complexion seems to pull out the red undertones in this one. Mentality Bon Bon is described as a pink toned red jelly holographic nail polish. You all know that I’m a pink girl, so I really like this one. Mentality Sourball is described as a green jelly holographic nail polish. This one is a little more muted than I thought it would be, but I still like it. Mentality Pastille is described as an aqua jelly holographic nail polish. This one may be my favorite from the collection. 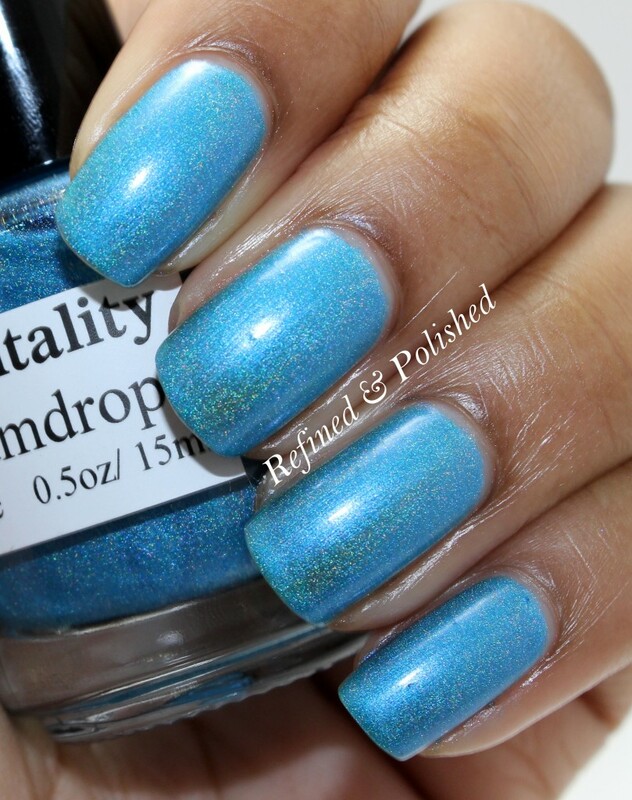 Mentality Gumdrop is described as a blue jelly holographic nail polish. I like how bright this blue is. Gumdrop did cause some slight staining, so I’d recommend doubling up on base coat. Mentality Hard Candy is described as a purple jelly holographic nail polish. I love how saturated this one is! The jelly formula puts a cool twist on these holos. The Mentality Candy Jelly Holos collection can be purchased here for $7.25 each with shipping included. What are your thoughts on this collection?